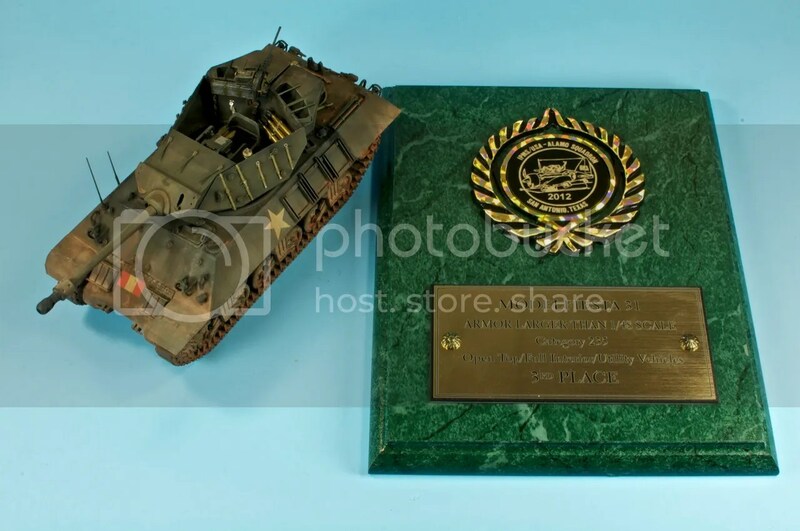 UPDATE: The Achilles took 3rd in 1/35 Open-Top Armor at ModelFiesta 31! One of the things I find perpetually fascinating about World War II is just how “American” the British were in their approach to military hardware. 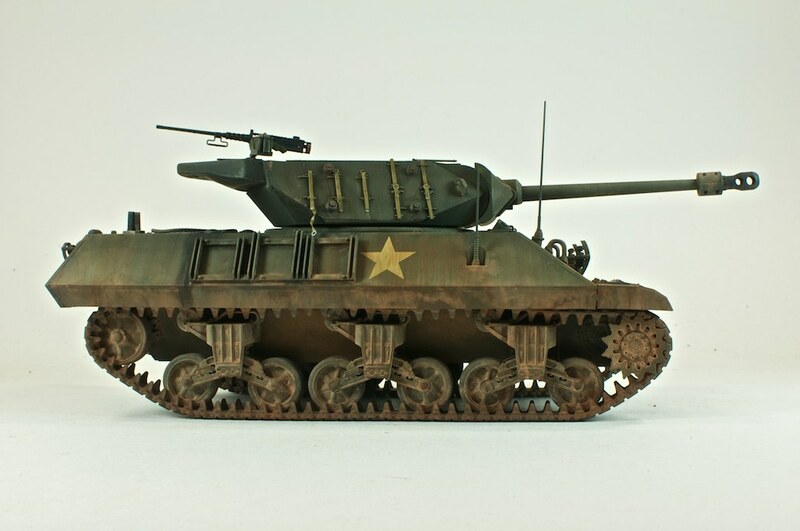 Thanks to Lend-Lease, the Brits received a staggering array of American weaponry, and time and again, they took an American version, slapped a bigger engine in it, or a bigger gun on it, and created something truly special. For example, the P-51 Mustang was pretty good, but not great, until the Brits shoved a Merlin engine into one. 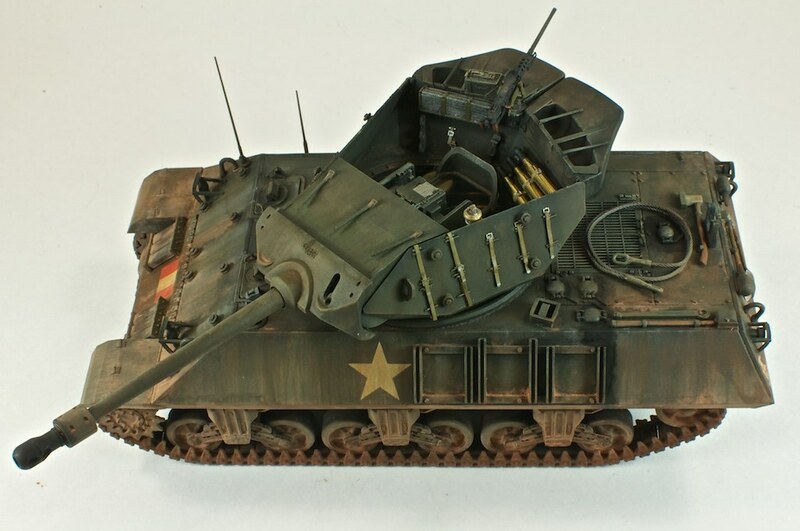 Likewise, the installation of the QF 17-pounder gun on the M4 Sherman and M10 tank destoyer led to the Firefly and the Achilles, respectively. 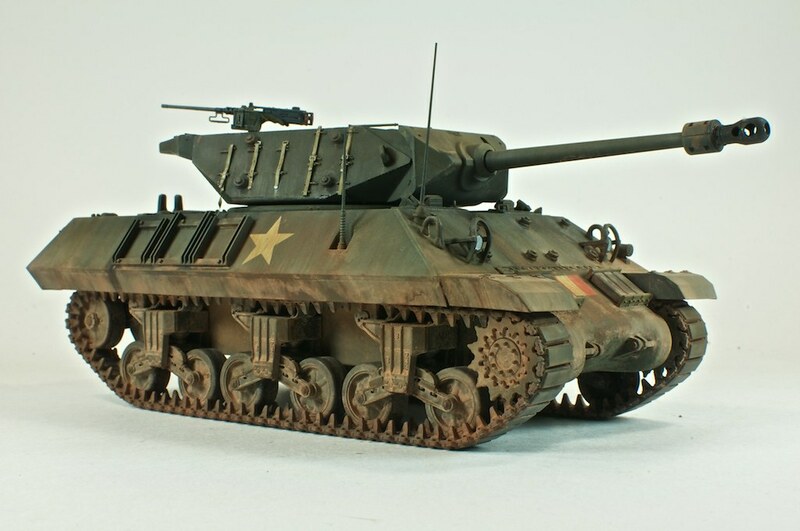 Though still outgunned by most German tanks, the Firefly and Achilles finally brought some killing power to the Allied side of the fight, and before long, the Americans were copying the example, rolling out upgunned Shermans of their own. I chose to build the AFV Club Achilles Mk.IIc mainly because I think the Achilles is one mean looking vehicle. 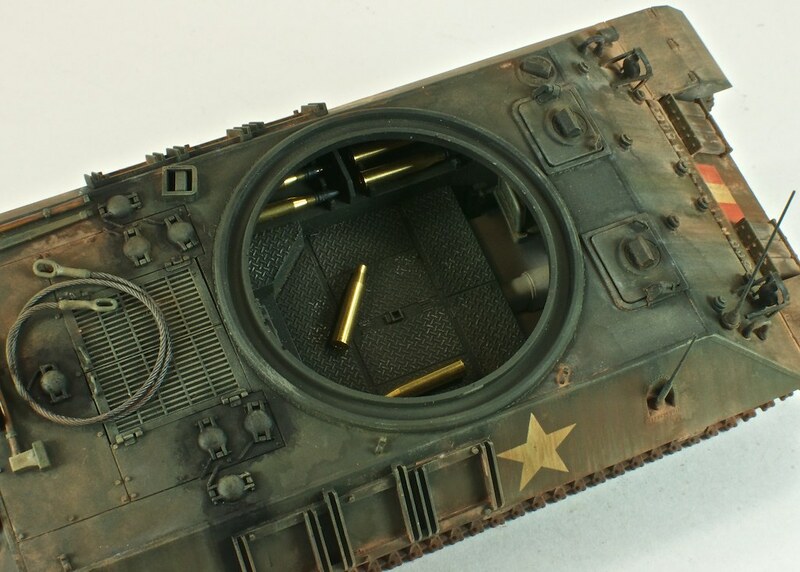 That, and the challenge of modeling the open turret and (barely) exposed interior. Overall, the kit is pretty well detailed, though prominent ejector marks all over exposed surfaces (hull exterior, upper surfaces of the turret counterweights) were ridiculous and inexcusable. 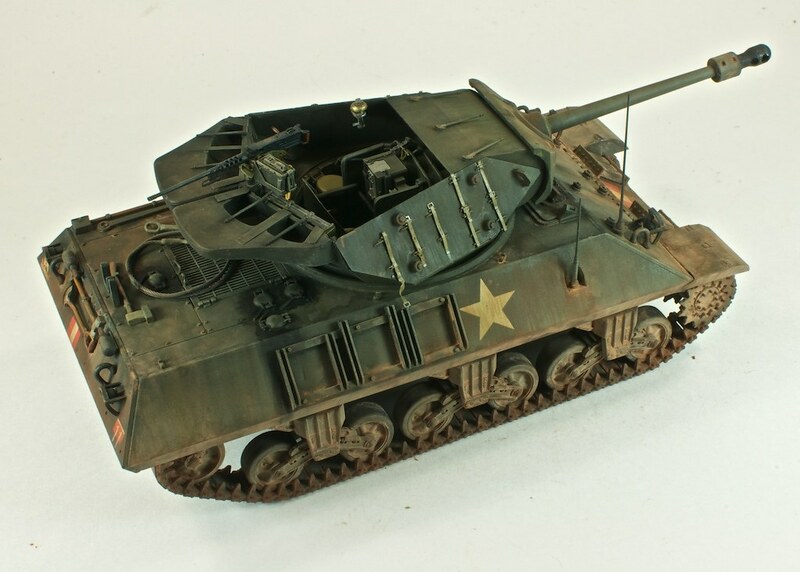 Parts fit was very good among the major components, but shockingly awful for the turret walls and all of the smaller bits, from ammo racks to lights and spare track pads.